Hair fall is a common problem. While it is said that its expected that we lose a certain number of strands a day, it can still be a little scary to experience that. Hair loss causes are not easily determinable by us, but it’s usually nothing alarming. However, if the number of stands lost is increasing constantly or if there is no recent change in lifestyle when hair fall increases, it’s better to get it checked. There could be a number of causes for hair fall, right from change of water or place to a chronic illness. It’s hard to determine the reasons on your own. This is when you should consult a dermatologist. They will be able to provide the right cause and treatment for your hair fall. Genetic Factors – Hereditary is one of the biggest causes of hair fall and it’s unfortunate that nothing can be done to cure it. If you have a family history of baldness, then it can be passed on to you as well. Since these are due to a combination of genetics from both parents, it can’t really be cured. There isn’t any permanent cure but a few chemicals such as Minoxidil, and Finasteride are used to stimulate hair growth. The dosage you’re going to be administering these in needs to be prescribed by a dermatologist to make sure that it doesn’t go overboard (1). Aging – As people get older, their hair follicles shrink and get weaker. This causes hair thinning and eventually hair loss in males as well as females. Women have milestones that alter the hormonal balance in their body and this, in turn, can affect hair growth and hair quality. In males, it’s seen in the form of a receding hairline or a bald patch at the back of the hair. It’s also difficult in terms of hair growth, as the follicles are not strong or healthy enough to renew any loss of hair. Iron Deficiency – This kind of hair loss can come and go and is a common occurrence. If you’ve noticed, after having an episode of any kind of illness, especially typhoid, there will be hair loss. This is because as the body gets weak, there isn’t enough iron content, and iron is required of a key element called ferritin which is present in the hair. When you have an unusual amount of hair loss, you’re most likely asked to test your ferritin levels which are basically iron. To cure and prevent this, it’s important to eat foods that are rich in iron content, such as green leafy vegetables, beetroot, etc. Thyroid – Thyroid, as a gland helps in metabolism and in fact, is important for the regulation of iron in your body. At the same time thyroid is also important as it helps in balancing and regulating the hormones in your body. When you have a Thyroid problem it can be one of two things, hyperthyroidism, or hypothyroidism. The former is when excess Thyroxine is produced by the Thyroid gland, that results in an imbalance, the latter is when there are low levels of thyroxine in the blood that also results in an imbalance. Thyroxine helps in the basal metabolic rate of the body, protein synthesis, and also helps in regulating growth hormone (2). Hormonal – Hormonal changes are prevalent in women from time to time. Their hormone levels keep altering based on the events in their life, from periods, marriage, menopause and pregnancy. Pregnancy can be seen as a major life-changing event that affects hair growth and can also cause a type of Alopecia. Although changes in the male hormones or Androgens can also cause hair loss, commonly called male- pattern hair loss. This is called Androgenic Alopecia and can be seen in both men and women and is called, female-pattern hair loss in women (3). Autoimmune Disease – This is a condition when the immune system of the body attacks its own cells mistaking them for invaders. This causes the WBCs to affect and weaken the hair follicles leading to hair loss. The most common of them is Alopecia, where hair loss occurs in the form of patches where the patches usually increase with age. Another form of Alopecia is Traction Alopecia, which is caused due to salon treatments that create a lot of tension in the hair follicles. When the hair is pulled back and tied very tightly for too long, it does result in hair loss around the hairline. Head gears that are worn for too long can also have the same effect. There can be other reasons for hair fall too, such as heavy medications that are given for cancer or depression. 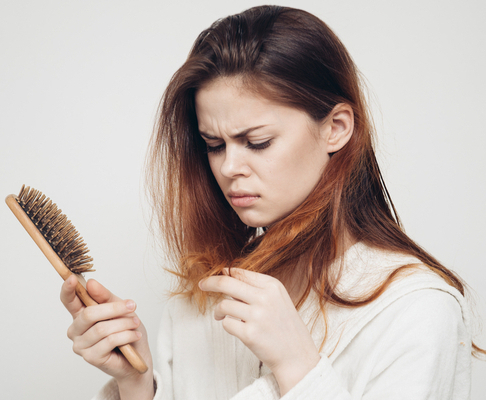 Another reason can be dandruff and other fungal infections that clog hair follicles causing hair fall. Other than these, your diet is extremely crucial for the growth of your hair; you would need a protein-rich diet, more than a rich fatty diet. Is hair fall causing you troubles? 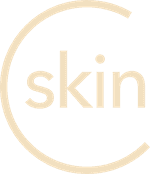 Download the CureSkin App now by clicking here to get a consultation with the best dermatologists. It’s easy, fast and affordable!